In “The Silver Locket” by Sophia Bar-Lev, two women’s lives intersect during WWII in a way that will connect them for the rest of their lives. When one of them is brutally attacked and impregnated as a result, she has a huge decision to make. Her husband is working in another state during this time. While she could easily terminate the pregnancy and pretend it never happened, she instead decides to continue with the pregnancy and give the innocent child a chance at a better life through adoption by a loving family. Just after giving birth, and while still in the hospital, she discovers that her hospital-mate also has a tough adjustment to make in her life. The two women find a special connection with each other and bond over their life-changing decisions. Each woman carries her secret over the next two decades. As the women move on and have other children, their secrets stay safe until the time comes when they must be revealed. When the family’s lives intersect again, a rabbi and his wife step in to provide emotional support. 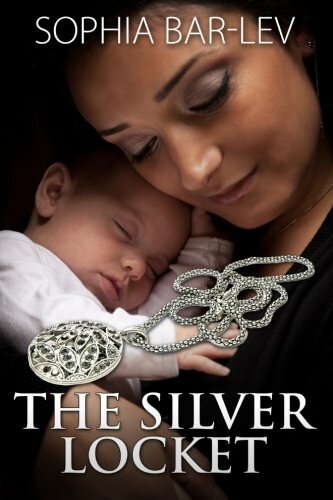 “The Silver Locket,” is a beautifully told story. I have hopes that women contemplating what to do with unplanned pregnancies will read this novel and gain some insight on how their lives might be affected depending upon which path they choose to take. This story covers all of the bases. I did find it to be a little bit too unrealistic as the dilemmas always had perfect resolutions; however, overall I really enjoyed this story. Knowing that it is partially based upon a true story makes it more compelling. I highly recommend reading it and suggest it as a selection for reader’s groups.